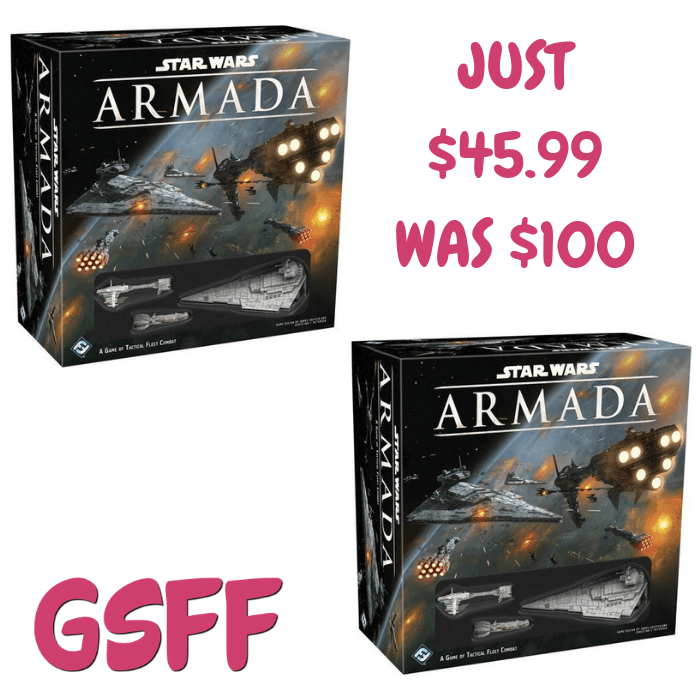 Star Wars Armada Game Just $45.99! Down From $100! Shipped! Amazon has this Star Wars Armada Game on sale for just $45.99 down from $99.95 PLUS FREE shipping! Rebel and imperial fleets fight for the fate of the galaxy in star wars: armada, the two- player miniatures game of epic space battles. Star wars: armada balances the awesome scale of the star wars galaxy’s ships and space warfare with ship designs and rules that make for accessible, intuitive play experiences. Assemble your fleet, survey your objectives, form your battle plan, plot your course, call your shots, and destroy the enemy. It’s your job to issue the tactical commands that will decide the course of battle and the fate of the galaxy!. Star Wars Figure Starting At $5.49! Regularly $35! 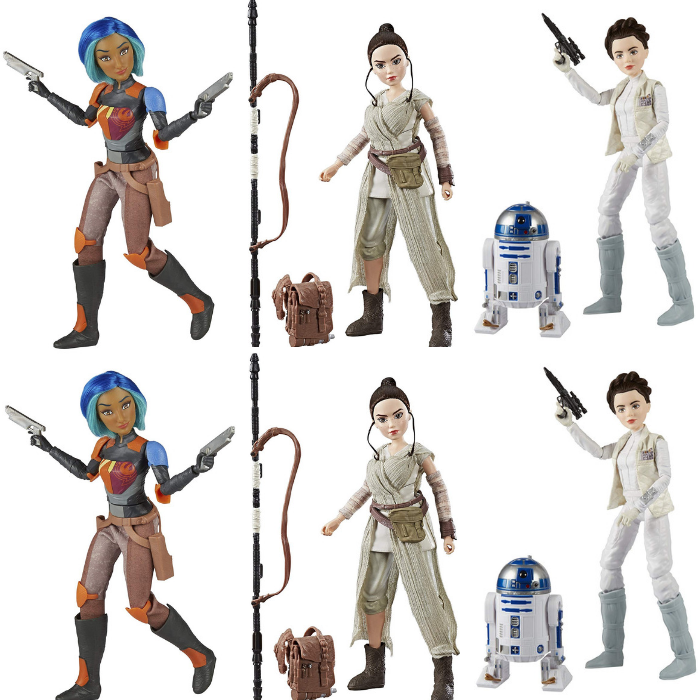 Amazon has these Star Wars Forces Destiny Figures on sale for as low as $5.49 regularly $34.99! Please note that some of these are add-on item and will ship with a qualifying order of $25. Imagine epic adventures across the galaxy with this Star Wars Forces of Destiny adventure figure. Every possible adventure figure features changeable outfits and true-to-entertainment details. Longtime fans and newcomers to the incredible Star Wars universe will love re-creating the battles and stories of a galaxy far, far away. FREE LEGO Star Wars Millennium Falcon! Any Star Wars lover in your life will be thrilled to get this FREE LEGO Star Wars Millennium Falcon Microfighter! Grab this FREE LEGO Star Wars Millennium Falcon Microfighter for new TopCashBack members! Purchase one (1) LEGO Star Wars Millennium Falcon Microfighter for $8.99 via this custom —> TopCashBack page and get $8.99 in cash back! Click on the “Get Offer“ button and it’ll take you to Walmart. 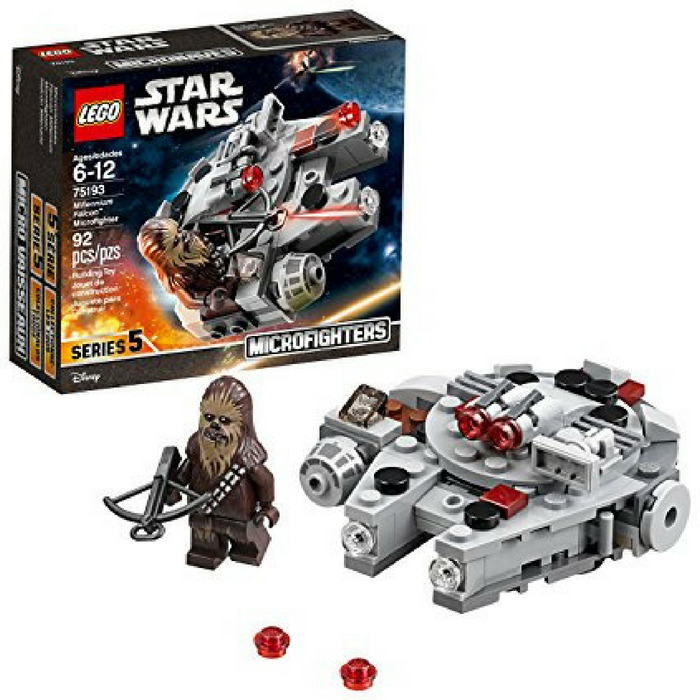 Add one (1) LEGO Star Wars Millennium Falcon Microfighter for $8.99 to your cart then shop as normal and checkout. This is a FREE In Store Pick Up! Once you checkout, transactions may take up to 7 days to appear in your TopCashback account. In about 14 days, $8.99 will post in your TopCashback account. Important: The deal is open until 11:59pm PST on 06/30/2018 or until supplies run out; whichever happens first; applicable for purchases made directly after clicking through TopCashback. Only one TopCashback account is permitted per member.